Week X: Project Albatross Short Video is Out! I made this short documentary/film for my documentary lab class. It’s my first video production, but people like it so far! There was a school trip to Makerfaire last saturday. Most of the Innovation Lab students went and some of the students outside of Innovation Lab also joined us. It was a place of innovation, new technology, and geeky science. There were so many inspirations for my bird project and also my potential projects for the future. One of them was an artist who had built a kinetic sculpture that flaps its wings. It had very unique flapping mechanism, very different from that of SmartBird. Because I haven’t had any experience actually flying anything with a remote controller, I have decided to practice with RC simulator. 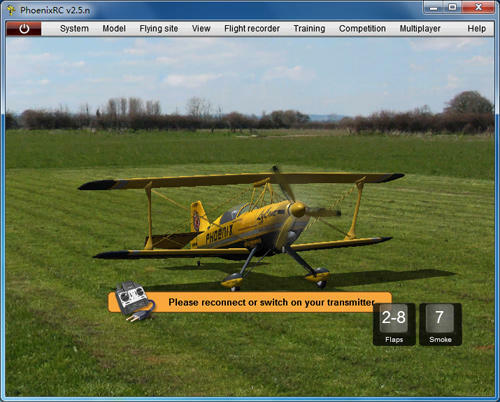 Phoenix RC Simulator lets you connect your RC transmitter to your PC and fly a variety of planes, drones, and helicopters in a virtual world. Although flying my bird would be very different from flying planes as by bird uses totally different way to propel itself and change its orientation, it would let me get use to using the transmitter and have anything be airborne.